If you are looking for some easy stocking stuffers then might I suggest some Neosporin Lip Health Therapy or Band-Aid bandages? My lips get sort of dry in the winter months and I usually like to wear a lip balm to bed. 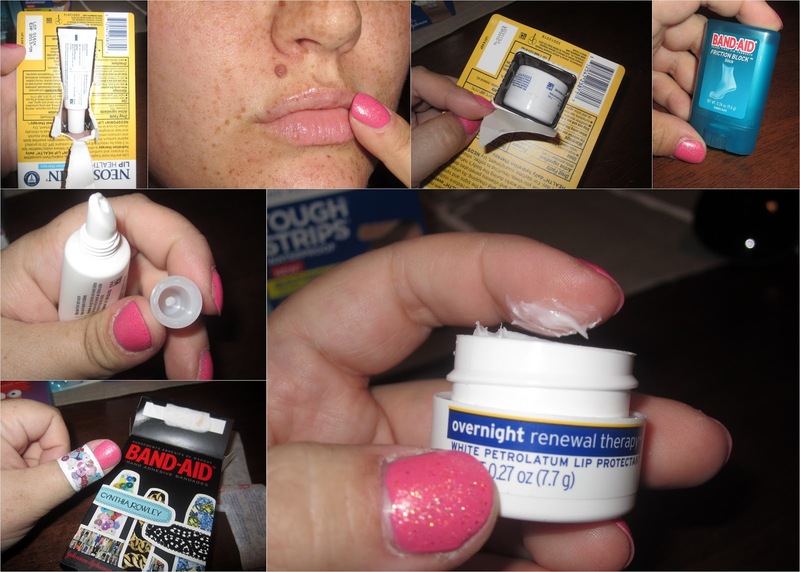 Neosporin's overnight renewal therapy lip protectant is the perfect thing to wear to get my lips soft overnight. During the day I use Neosporin Lip Health daily hydration therapy to keep them soft and supple. The lip products didn't have any weird flavor or smell, they glide on smoothly and work very well. When my kiddos get a cut or scratch I like to use bandages that stay put. I trust Band-Aid to stay put and protect their ouchies. I thought that the Muppets Band-Aids were really cute. When my 2 year old needed a bandage he was giggling as I put Kermit the Frog on his ouch. I'd rather have giggles over crying any day. You can use the Band-Aid Magic Vision app to make these bandages come to life with the Muppets! I loved the Cynthia Rowley designer bandages from Band-Aid, they are so cute! My 8 year old daughter likes them too. I also had fun trying out the Band-Aid Friction Block stick. If you have a pair of shoes that rub against your skin causing irritation you will love this. The smell is pleasant and the stick actually works to prevent blisters!